Supporting Joslin Jaguar students has never been more fun! Enter to win one (or more!) of awesome prize packages at only $2 per ticket! Prizes include date nights, family entertainment, Mother's Day packages, great food, and more! 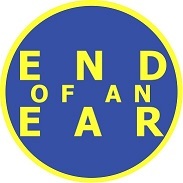 Thank you to our Raffle Sponsor, End of an Ear! All sales final. No refunds or exchanges. Raffle ticket purchases are not tax-deductible. Packages will be raffled off in the order listed below through this online platform (all offline ticket sales are entered by the seller here). Purchasers may not request that ticket purchases go toward a specific package(s). Need not be present to win. Winners will be notified by email or phone no later than 5/10/2018. Winners may pick up prizes at Joslin Elementary, 4500 Manchaca Road, Austin, TX 78745 by May 31, 2018. Family Fun at the Hottest Coolest Time in Texas! Family Day Out: Jumping, Zoo and Food! Gift basket with toys and a gift certificate for One Month Tuition of Gymnastics plus the Lifetime Membership fee.